I think the United States government, which specifically means the Obama administration and the Eric Holder’s Justice Department, most assuredly has to explain the events of Abdulrahman’s death. I just don’t understand how an American citizen – a minor at that – can be killed by our government and answers purposely go unanswered without so much as a whimper from our fourth estate (the mainstream media) or our fifth estate (the citizenry of a democracy). It’s outrageous quite frankly. I hate to harp on a racial component to this, but I mean, let’s be honest. 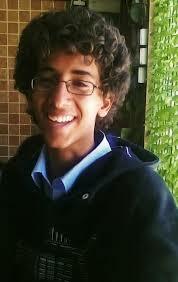 If his name was, say, Mike instead of Abdulrahman, then would more people care? Maybe not, maybe; maybe it’s just that people hear “terrorism” and then zone out it thinking whatever happens is good in the name of said “terrorism.” Even though, of course, Abdulrahman had nothing to do with terrorist activities. Beyond even just this tragic incident itself, which needs answers from the so-called most transparent administration ever, shouldn’t it be troubling to people that the U.S. government and specifically its president and Justice Department thinks the president therein has the power and authority to kill an American citizen and not have to answer for it? I find this utterly maddening.